If you have followed our main article Add Scrollbars to Blog Widgets, you would be able to introduce horizontal and vertical scrollbars to all or any of the widgets in the Blogger template. These scrollbars can be made to automatically appear when the contents overflow a certain specified width or height setting. We have also talked about how scrollbars can be added to the Blog Post body. We shall in this tutorial elaborate on that and let you know how to add the scrollbars within each Blog Post. Sometimes, you may not want to have the scrollbars to all the blog posts, but only for several paragraphs within a post. Assuming you are writing an article and you wish to enclose some long text within a scrollbox, you have to first define a class within the stylesheet. Save the template. Next, when you are writing a post, switch from the “Compose” mode to the “Edit HTML” mode. Add these tags (shown in red) before and after the part of the text that you want to enclose within the scrollbox. You can continue typing the post by switching back to the “Compose” mode. Adjust the size of the scrollbox in the stylesheet accordingly. You can also consider having a HTML text box to enclose certain text. I LOVE this scrollbar tip. Thank you! thanks a lot for sharing this tip!i was looking for this particular one for long! The post scrollbar is cool and helps with the longer posts. Thanks! I have set my height to 600px so that any post larger gets the scrollbar. My question is on posts smaller than 600px...how do I default the height to be the post size or 600px whichever is smaller? With the height set at 600px a post of 300px has space between the posts. Thanks for all the tips given!! How do I place a scroll bar for my comments? how come there's no post for some time? i have searched high and low for this insidious comma but it is elusive indeed. i would very much like to delete it. would you mind pointing me to the proper location in the html so i can eradicate my silent adversary? thank you.
" For example, we can insert in the stylesheet this code to specify the maximum height and width of the scrollbox. " I kinda lost.. where to put? where are the stylesheet? is it in the content, #content? i am really like ur blog. but you have no post regarding seo for blogger specially for blogspot blogger. actually i am in trouble plz help me hot. My post title is not shown in google only show blog title. but i would like to ask, how do i put my whole layout 'body' in a scroll box? so all my entries and not my sidebars? 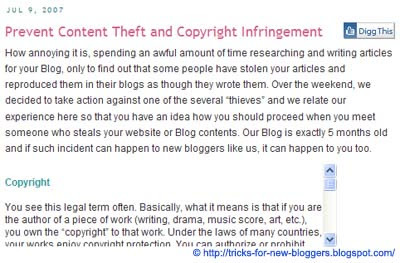 thanks for this great tip on adding scroll bar to blogger..
good tip! Thanks a lot!! Hi.. Great tip for scrollbar to add in the blog post. You explain all the step in detail that was quite good thing. Keep it up. Hi i have a doubt. when we click labels in this blog http://directdownloadsworld.blogspot.com/ the results coming are only the post titles without any summary. For example when i click HD label in that blog the results shown page is http://directdownloadsworld.blogspot.com/search/label/HD?max-results=2000. 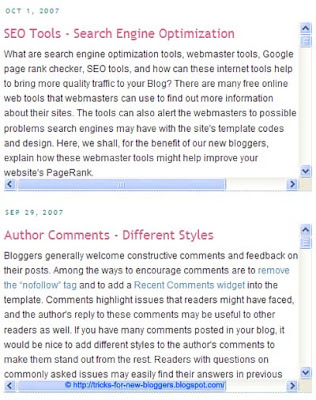 I want a similiar widget for my blog. Please help! Very informative tips and tricks,..thanks a lot for sharing this tip!i was looking for this particular one for long! Nice post for this scrollbar option in a post. I am a regular reader of your blog. I am also having a blog which deals with the same topic, Blogger Tips and Tricks. Dear thanks for this post. But I want trick to add scroll bar to selected post N selected text only. If I am applying trick that you have mentioned, it is going to attach to all post where overflow condition occurs. I want scroll bar but don't want to apply this with overflow condition. I want scroll bar but don't want to make it available with overflow condition. I want it for selected post N selected text other than overflow. Please specify method for my doubt also. Hope you help N reply. Your blog is really col! I came across from Google. Your blog is Page Ranked 4. So, why don't your optimize some sponsor ads? Just giving you suggestion ad your supporter :) Thanks! Thanks for the tip lots!!! :o) Really helpful since I'm a beginner at this!! Love the scrollbar tip and the explanations given!